Today I am linking up with Mrs. V and Mrs. D to share how I conquer assessment. As teachers, we are always assessing our students. It seems like every year school systems become more data driven and require an even greater emphasis on number crunching. Here are a couple ways I manage and organize assessments in my classroom. These are the plastic prong folders that I got on sale at Big Lots for 14 cents each. I was so excited to find folders that matched my neon theme! 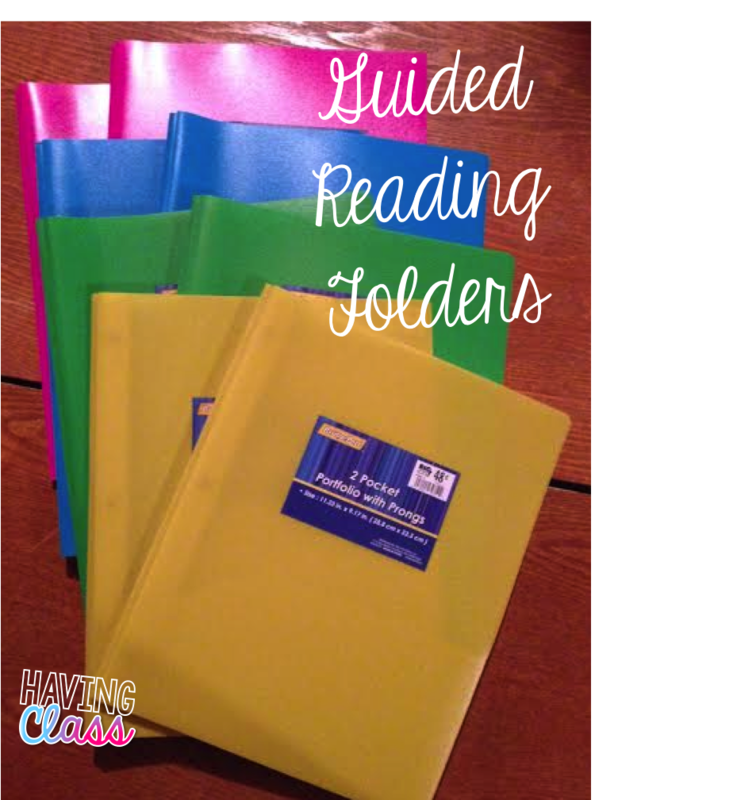 I have tried using binders to keep anecdotal notes, but I hated all the flipping around during lessons and space it took up on my reading table. I’ve decided that I am switching to prong folders. Each group will have their own folder that houses the information for all the students in the group! 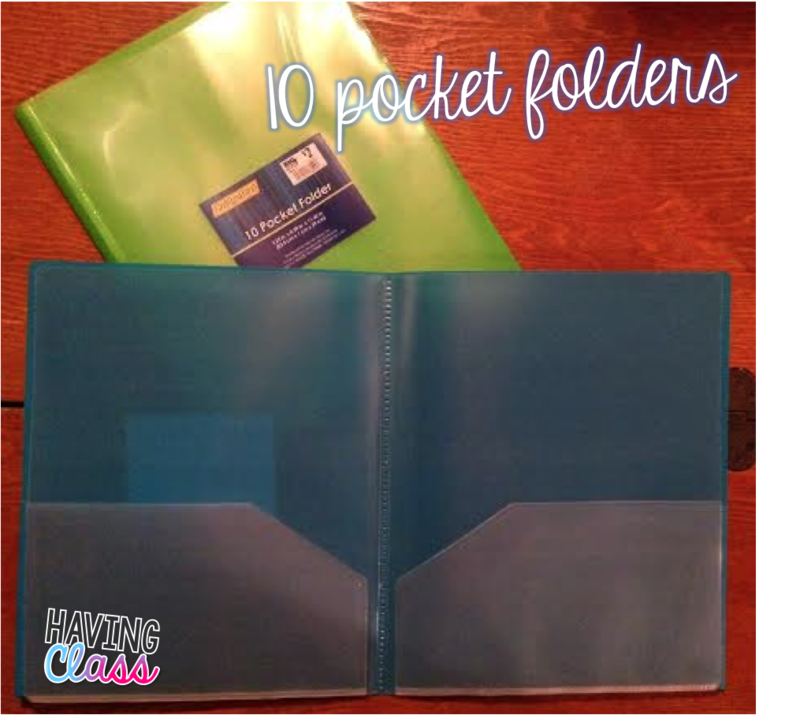 I also picked up these 10 pocket folders because they are AMAZING! I’m not sure what I will use them for yet, but I know I will find something. These are the new pages I’ve created for taking anecdotal notes this year. I HATED writing the same thing over and over when taking notes on students. This year my county is moving to the Benchmark Literacy Series which is set up into 10 three week units. I created a grid for each skill and strategy in the units where I will jot notes about each student’s comprehension. On the back, there will be blank spaces for me to jot down fluency notes. These are the pages I am planning on putting in the prong folders. Below you can see all the sheets that I created to keep me on top of my student’s progress during guided math and math workshop. I have 8 groups in a unit, all named after animals. The top left sheet is where I group the students based on the results of the pretest. The page directly under that has student numbers. 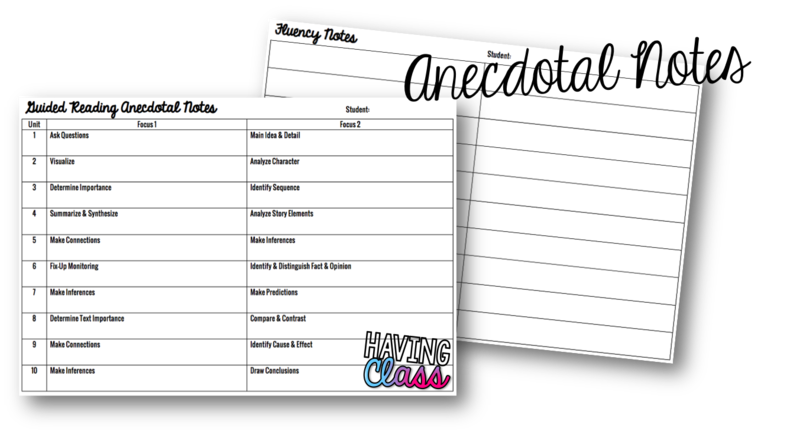 I use this to jot down notes about each student throughout the unit. I typically go through a couple of these a unit, but I like to have all the students on one page since the groups are so fluid. I will keep both of these pages on a clipboard throughout the entire unit so I can access them easily. The two pages to the right are my county’s standards grouped by strand. Each student will have one of these and they will all be housed in the same prong folder. When a student has demonstrated mastery of a particular skill 3 times in a row, I will highlight that skill on their sheet and record the date. I typically use guided math performance and the questions of the day. You can read more about my guided math block here. Another way I manage assessment is by having students track their own data. 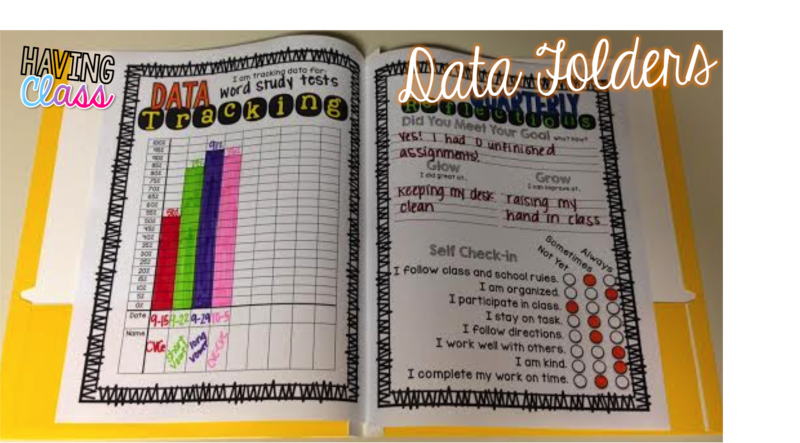 I have seen so much growth in my students since focusing more on data notebooks. When students know where they are and set a goal for where they want to be, they really do work hard to achieve it. I don’t actually have data “notebooks” I will be using prong folders because they are easier to store and I don’t have a lot of space. The pages in the picture are from my superhero data notebook. I love plickers.com! I have seen a couple posts on this pop up in the blogosphere. I ignored them at first, but then curiousity got the best of me. I first read about it on an amazing teacher’s blog (I can’t remember exactly which one) and before I even finished reading the post, I was signing up. I couldn’t wait to try it out so I used it with my summer school class THE NEXT DAY. I’m like a dog with a bone when I find something new. I was a little skeptical, but it worked perfectly the first time. The kids loved it, I loved it, everyone was happy, happy, happy. I did realize that my live charts and graphs won’t show up in Internet Explorer, but they will in Google Chrome. I definitely plan on using plickers in my classroom starting at the beginning of the year. If you haven’t yet, you must check it out. 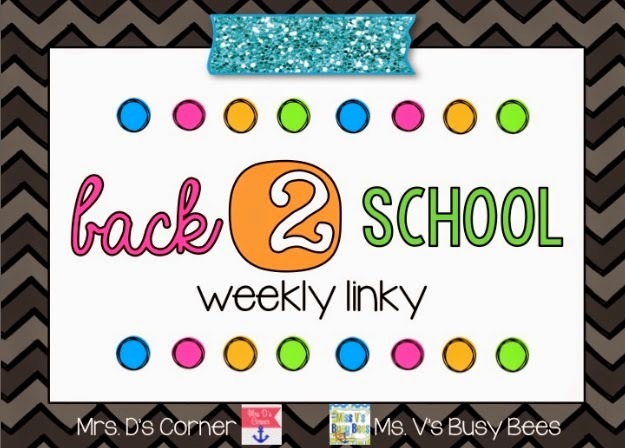 For more assessment posts make sure to swing by Mrs. V’s Busy Bees or Mrs. D’s Corner. What a great post! 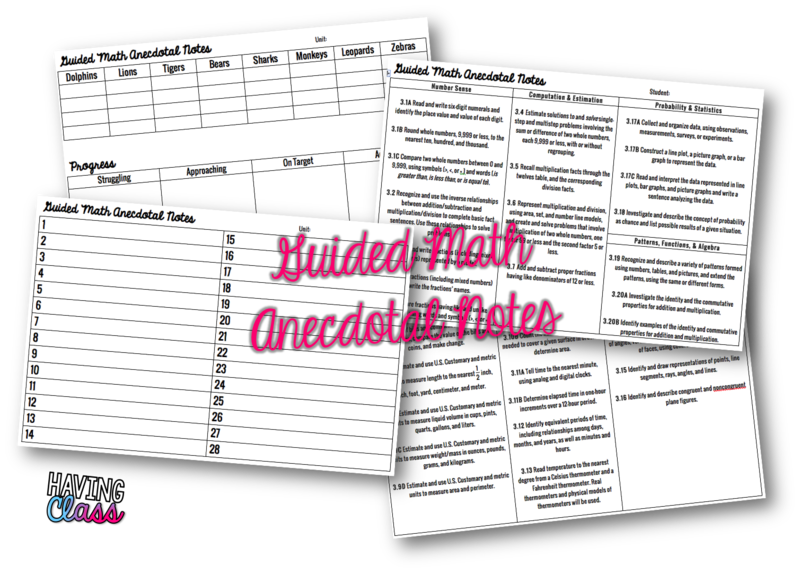 I found your blog today through your pin about your guided math anecdotal records. I have not done guided math in the past, but plan to take the plunge this year! Thank you for sharing! I love your blog! It's so cute!!! 🙂 I'm a new follower! Your data notebooks are GREAT! That's something I need to get better at!! !